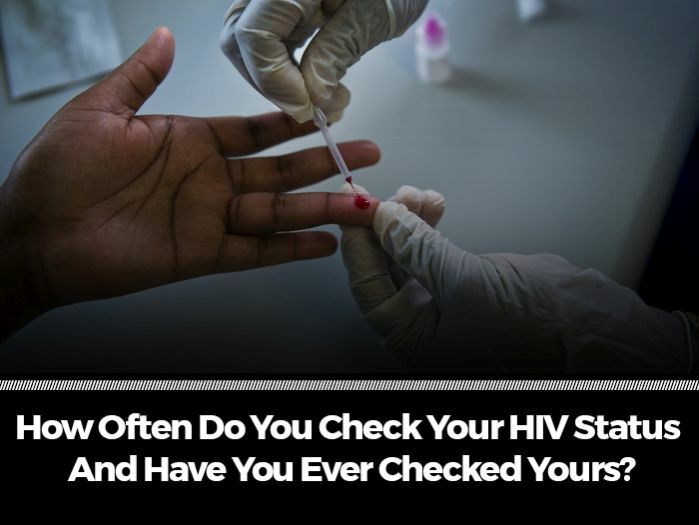 How Often Do You Check Your HIV Status And Have You Ever Checked Yours? Whenever you fall sick, go to the hospital and the doctor requires you do a test so as to know what is wrong with you, what goes through your mind? Do you or do you not sometimes imagine if your test result can show if you are having that dreadful disease called HIV? We have been taught to believe that HIV is the most fearful and disease you can ever have. It is no news that we should all get tested at least twice in a year so as to enable us know our status at the early stage and to be able to start tackling it if the result is positive but the bitter truth remains that even the practitioners don’t do it that often. Doing an HIV test is like writing a letter to your death, you always feel like you’re dying gradually until the result states that you’re negative. If the result states that you’re negative then you feel like you’ve been re birthed. quite a huge relieve I must say. Lets all encourage ourselves to run our tests promptly and also create awareness about the dreadful disease and also help educate ourselves on how we can reduce this disease or eradicate it forever.